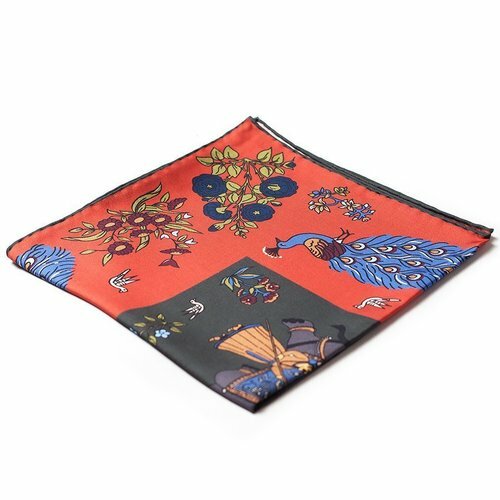 Oriental pattern silk pocket square in burgundy. Hand-printed with hand-rolled edges. 100% Macclesfield silk.